There has been much debate in the media and across the political spectrum about whether older and disabled people should be entitled to free bus travel. In an age of austerity is this really something we can afford? Should it be means tested? Shouldn’t we be focussing on our young people instead? Such ideas have gathered a head of steam and against other pressing concerns can begin to sound persuasive, but they are misleading and potentially dangerous. It is important that the full impacts of concessionary travel schemes are understood. We need to avoid unintended consequences that would arise if such schemes were to be withdrawn or not supported fully. With this in mind, Greener Journeys commissioned KPMG LLP to analyse the costs and benefits of the concessionary travel schemes in Britain. These schemes are important in enabling many older people and people with disabilities to lead more active and fulfilling lives. But we need to be clear that they deliver good value for the taxpayer. The analysis followed the Department for Transport’s guidance on economics appraisal, and concluded that the concessionary travel schemes deliver high value for money. Every £1 spent on the schemes generates at least £2.87 in benefits to bus pass users, other road users and the wider economy. Half the benefits of the schemes accrue directly and immediately to older and disabled people who make use of their bus passes. They have easier access to the services they need and are able to take part in many activities which would otherwise be unaffordable. These benefits, totalling some £1.3 billion, are more likely to go to those on low or moderate incomes, and those without access to a car. Concessionary travel also brings benefits to all road users, worth £573 million per year. One in three bus journeys generated by the scheme would be made by car if the concession was not available, generating significant decongestion benefits. And when free bus passes encourage more people to use the bus, operators need to provide additional services. All passengers win when services are more frequent and waiting times at bus stops are shorter. Importantly, the analysis also found that the scheme delivers significant benefits to the wider economy. Their freedom to travel means that older people can contribute more actively as volunteers, as mentors, organising events and raising funds. 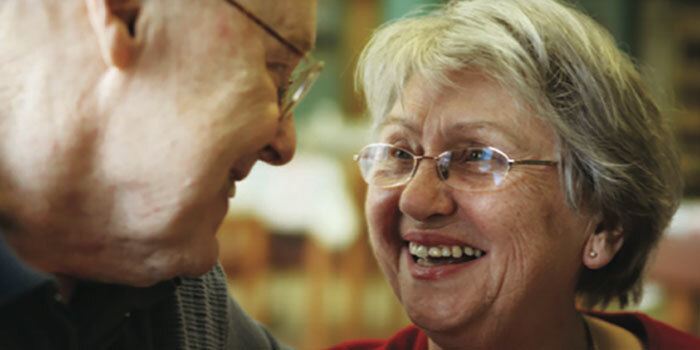 The value of volunteering by older people to the economy is estimated at £10 billion per year. The analysis showed the volunteering benefits generated by the bus pass to be worth £297 million. The free bus pass also encourages older people to be more physically active. Taking the bus usually involves a short walk to and from the bus stop. As a result of the increased activity their health and wellbeing is better. KPMG estimated the benefits in terms of savings to the health service be worth £458 million. Equally significant are the benefits arising from concessionary travel which are very difficult to quantify, and not included this analysis. If they had been included the benefit cost ratio would be significantly greater. With free bus passes, older people gain new opportunities to look after children and to care for others. Older people provide estimated benefits of £34 billion in social care and £2.7 billion in child care every year. The contribution the bus pass makes in facilitating this vital activity is likely to be significant. The free bus pass also make it possible for older people to shop more on their high streets, increasing retail and commercial activity. And with the free pass older people are able to travel independently, this delivering savings on patient, social services and community transport. Some of the most important benefits of all are the most difficult to quantify. With free bus passes, older people get out more and are less likely to feel lonely and isolated. This is crucial to good mental health and wellbeing, and delivers significant benefits for health services. Research has shown that loneliness is a comparable risk factor for early death as smoking 15 cigarettes a day, and is worse for older people’s health wellbeing than obesity and physical inactivity. Concessionary travel schemes deliver excellent value for the taxpayer, as well as being a lifeline for many older and disabled people. The conclusion we must draw is that far from being something we cannot afford, these schemes are something the Government cannot afford not to support. And as the average age of the population is set to increase over the next twenty years, the case for the scheme will get even stronger. The mark of a civilised society is how it treats its most vulnerable. The future of the concessionary travel schemes will in the end say everything about who we are, and the kind of society we live in. Catch the Bus Week (2nd – 8th July 2018) is a campaign aimed at increasing awareness of the benefits of taking the bus. Find out how you can support Catch the Bus Week. 2.5 million workers across Britain are choosing the bus for their daily commute and a further 1 million as a back-up. © 2019 Greener Journeys. Web design by Wired Canvas. Also in association with Bus & Coach Smart Move.